Emily leads the operational and strategic management of the firm. Her enthusiasm for delivering the best possible customer service helps to drive the firm’s initiatives for continual improved performance. 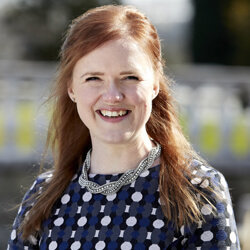 Emily is also responsible for the day to day compliance work for Jobling Gowler. She has successfully lead the firm through achievement of the Law Society quality mark for excellence in practice management (Lexcel). She has a particular interest in the role of technology in law. Emily’s dissertation for her Master’s in Business Administration, focused on the potential value of adopting technology within legal processes. This research demonstrated the value of technology, to both operations and client experience, when adopted sensitively. As a result of Emily’s research, Jobling Gowler has tailored its working practices to the value of clients and business operations. Emily is responsible for the firm’s community engagement strategy and leads on the variety of community initiatives undertaken by the firm. These include hosting regular art exhibitions in support of local artists and charities, hosting training events for local community groups and delivering free drop-in legal clinics within the community. Jobling Gowler provides ongoing support to a number of local charities including; East Cheshire Eye Society and East Cheshire Hospice and Sutton Ex-Servicemen’s Club. This active role within the community has become a hallmark of the firm’s reputation. Emily is an Associate of the Chartered Management Institute. In her free time Emily enjoys anything that draws upon her creativity and running with her three boys.